Diatomite is a siliceous sedimentary rock, yellow or gray, soft, porous and light. It is commonly used as insulation material, filter material, abrasive material, sodium silicate raw material, bleaching agent, diatomite filter aid, catalyst support and other materials in industrial after grinding. For diatomite superfine grinding process, the common Raymond mill can not reach the fineness requirements of 400 mesh. We need to use professional ultra-fine powder production equipment. Liming Heavy Industry developed two kinds of ultra-fine powder production equipment, LUM Series Superfine Vertical Roller Grinding Mill and MW Series Micro Powder Mill. Wherein, LUM Series Superfine Vertical Roller Grinding Mill is proper for 400-1250 mesh diatomite processing. If you want 1500 mesh, 1800 mesh, 2000 mesh, 2500 mesh fine powder, you can use MW Series Micro Powder Mill. 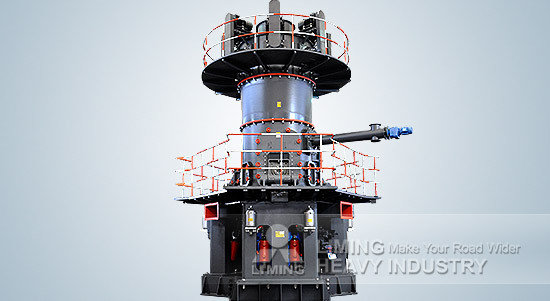 In production capacity, advanced LUM Series Superfine Vertical Roller Grinding Mill is suitable for Large-scale diatomite ultra-fine powder production. Therefore, the initial investment cost is relatively high. Customers can choose the most appropriate equipment according to their production needs. Our technical staff will provide the most professional and practical guidance.